I’ve been face painting for a living since 1994. I first started in Halifax Nova Scotia where I painted for the first Halifax face painting business, Rosie’s family face painting. It was with Rosie’s that I first learned the art of painting on people, and I quickly fell in love with the art form. At that time we traveled to many Nova Scotia fairs and brought our fun to various events In Halifax. I also operated my personal chef service Marvelous Mouthfuls for twelve years in Halifax, and I found the two art forms complimented each other well. I moved my Chef service to Ottawa in 2005 and also launched my face painting business at festivals and children’s events. During this time I attended conventions and classes with some of the worlds best painters. These classes were so fun! Over the years I learned how to be professional, practice proper hygiene on the job, and to source products of the highest quality. Over the years I’ve trained to increase my skillset in order to offer my customers a wider variety of options. 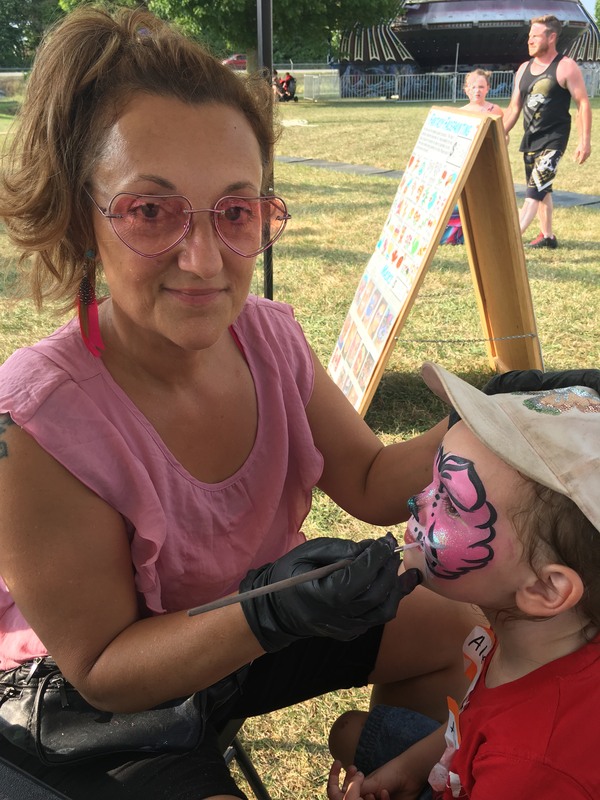 The following are some of those talents: temporary tattoos, glitter designs, arm & leg graffiti art, prenatal belly painting, stenciling & dress-up/costumes. 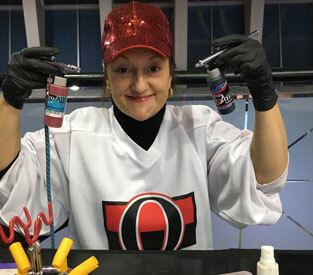 Over the years, I’ve also worked at most of the large and small festivals and events in and around Ottawa and Ontario and now have a wonderful team of skilled and experienced painters. I enjoy traveling with my work, and I’m always willing to travel to provide services for a customer. With so much experience behind me, I’ve become a very fast painter when needed while also maintaining the highest quality designs. I truly luuuvvv what I do, to be able to make a living as an artist & operate my personal chef service Marvelous Mouthfuls together is a blessing and I appreciate all my customers so much for making that a reality!